Learn to draw air from the ink cartridge after refilling, follow the steps here and if you have any questions, type a comment. 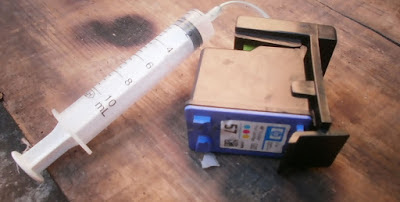 When you fill an ink cartridge is possible that this may not work immediately, it is normal if the ink cartridge has much empty time or you will not put ink for a long time, perhaps not immediately lower the ink printer head. Our pages will completely blank or partially blank, this does not mean that the ink cartridge is damaged, the cartridge has a solution should only follow the procedure below will raise. Really an ink cartridge does not hold air that allows you to print so good or bad the printer, ink cartridges allow air into and out of trouble, are not as problematic or complex as you can come to think, and say to take the air is not what will be done below. Honestly what we will do is make the ink drops to the head of the cartridge as these as we have previously said the air does not affect performance. 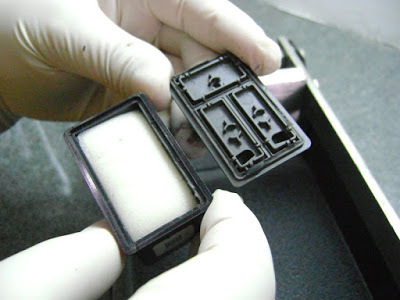 The first thing to do is to lower theoretical and physically ink to the printhead, as we have said so far the ink cartridges when the ink in the beginning we may not print because the ink has not reached the head of the same, a quick and easy way to lose this ink is shaking the ink cartridge. As we can see from the above image so that an ink cartridge when reload the same ink remains in the top looks, if we ink and this will not come down we just shake the cartridge so if we want the ink exit at the head, is fast becoming the head way and allow us to print immediately. Printers help us lose ink cartridges, not all but some printers have a tool they call head cleaning, this is enabled nozzles inside the printer to spill the ink cartridge ink forcibly from the cartridge, this printer uses it to clean the nozzles when pages are leaving smudges or scratches. As we have said throughout this book, the ink cartridges contain no air inside that needed to get the printer to print smoothly, we have taken a number of procedures that can help you when the ink cartridge has no ink to head down, if not get a solution can make a comment with your special case, we will gladly help you and find a solution to add to this list of possible solutions.